If the manual handle on the garage door with not turn properly, chances are it needs a quick adjustment. 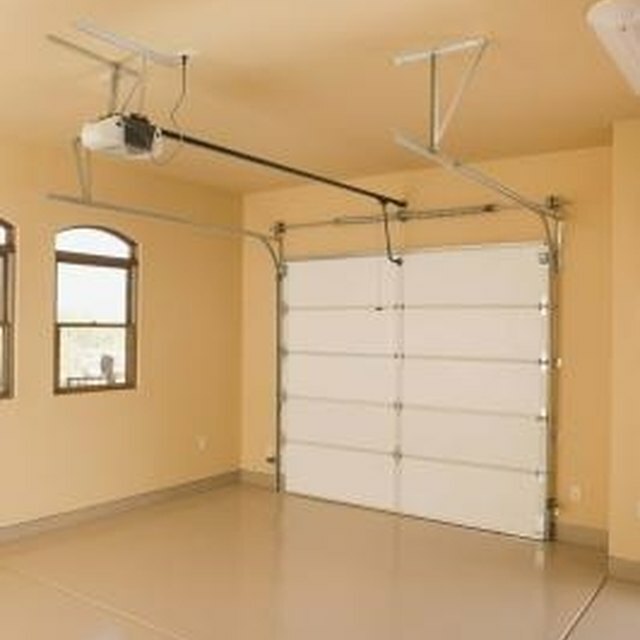 As the garage door ages, the mechanisms that connect the track to the locking bar may settle or shift slightly. When this happens, the bar cannot connect to the slot in the track and the handle jams. Fixing this common problem takes just a few minutes of your time and once completed, allows the handle to turn smoothly. When the handle on the garage door fails to turn, it may need an adjustment. Pull the garage door down. Locate the lock bar guide bracket on the right side of the door. This should be an L-bracket that holds the bar in place on the door near the track. Loosen the screws that secure the bracket to the door. Slide the bracket up or down slightly until the bar inserts smoothly into the track slot. Tighten the screws once the bracket alignment is correct. Repeat the process on the left side of the garage door to align the bracket. Turn the handle on the door to test the adjustment. With the guides aligned properly, the locking bar should pivot smoothly allowing the handle to turn.